Send money just like a text. The funds arrive instantly to the recipient’s M-Pesa account in Kenya or MTN/Airtel account in Uganda. Wave charges no fees to send money and displays live price comparisons to competitors in the app. Wave encrypts all personal data and offers phone support every day so you always know where your money is. Users who are hungry for privacy need to choose their solutions carefully. In light of recent privacy laws, regulations, technology developments, and news stories (for example, the eavesdropping Samsung SmartTV), it’s fair to consider just how much privacy one can expect while surfing online or even just sitting around the house. Privacy is getting hard to come by, especially in light of new regulations designed to improve both corporate security transparency and user online safety. That’s prompted many people to look for new tools to anonymize themselves online. Some of these tools, however, are also used by cyber-criminals, so average citizens should think carefully about their choices for improving privacy. Pros and Cons of Tor? Hungry for privacy, users have two potential options: Choose either a legitimate VPN or Tor to bounce traffic around a distributed network of relays. Using Tor brings quite a few benefits, mostly because it has a large user base, high visibility, more funding, and greater resistance to government blocking. On top of this, Tor has also been optimized for exit traffic by having a large number of traffic nodes. On the downside, Tor has also been picked up by cyber-criminals to perform various illicit actions or to hide their locations. For the past couple of years, Tor has been used in conjunction with a well-known malware family known as ransomware. One of the most financially profitable malware families in the past couple years, Cryptowall, has relied on Tor to hide Command and Control (C&C) servers from authorities successfully. Tor has not only been useful for privacy-aware regular users who want to avoid profiling, but it also has enabled criminals to launch a new type of malware that both law enforcement agencies and security companies find hard to fight. Because of intense law enforcement pressure to dismantle or tap into Tor’s communications, a new anonymity network, I2P, has been created. Probably the most notable difference between Tor and I2P is that I2P was not designed to run any proxies to the Internet (although client outproxies can be used to allow anonymous use of the Internet for people who want to browse the Web incognito). In layman’s terms, that means that I2P was not designed for Internet browsing, but that there are ways to circumvent this. So far, I2P isn’t very popular with average users, but cyber-criminals have managed to make use of it. For instance, the new Cryptowall variant, dubbed Cryptowall 3.0, relies on I2P to anonymize traffic. We can only speculate as to why the switch, but it stands to reason that I2P is just an alternative to Tor for when some of Tor’s hidden services are offline or bottlenecked. There are other benefits of I2P for criminals: Not only does it make it more difficult for law enforcement agencies to decrypt traffic, but there’s also the advantage of using an anonymity network that is not yet under the magnifying glass of law enforcement officials. A possible use-case for I2P would be development of completely secure instant messaging applications. The downside is that cyber-criminals or even terrorist groups could use it to encrypt conversations. Government organizations will likely have something to say about this in the long run. From the perspective of the average user (someone who would want to stay anonymous while browsing), Tor offers much more flexibility, since it is much more user-friendly. A simple browser can keep one’s identity somewhat cloaked behind a large network of exit nodes to avoid profiling. The downside, as I’ve noted, is that Tor is the main “playground” for illicit activities and cyber-criminals. This fact raises some serious moral questions as to whether Tor should continue being used by civilians. I2P, on the other hand, is a network within a network, which means that I2P doesn’t have much to offer privacy-seeking users unless they want encryption. Be that as it may, the recent involvement of I2P with ransomware might suggest it could become a resource for more criminal activities. The average user should consider other ways of staying private online (e.g. private browsing). It would be much safer (not to mention law-abiding) to adhere to a VPN service. While the two anonymity networks were designed for completely different purposes, it seems that cyber-criminals will always find a way to use them for their own advantage. We still don’t have all the answers in regards to exactly what Microsoft is planning for Internet Explorer and Project Spartan. But we know enough to get you started on building a game plan for how you’ll continue to support legacy web apps moving forward. The highly touted “death of Internet Explorer” may have caused feelings of jubilation among some users, but not so for enterprise IT professionals. It’s more likely that the news sent terrifying shivers your spines. It’s not that enterprise IT administrators especially love IE. Rather, it’s the fact that IE is the browser upon which so many legacy business applications still rely. 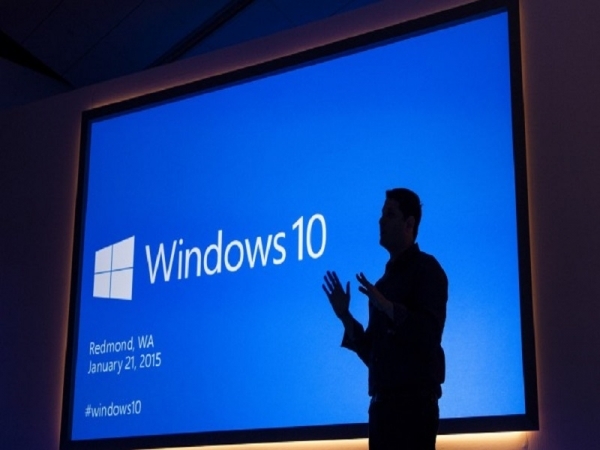 Microsoft is planning to ship a brand new web browser with the launch of its Windows 10 operating system. The new browser, currently named “Project Spartan,” uses a completely redesigned rendering engine. This new engine that will not be backward compatible with the many legacy IE web tools that are commonly leveraged in enterprise applications, such as ActiveX, toolbars, and browser helper objects. ActiveX is by far the biggest “gotcha” for legacy web applications. A decade ago, or more, ActiveX was a popular software framework that essentially allowed other applications to run embedded inside web pages. It was a great way to deploy complex applications via a web browser. These days, there are more elegant, reliable, and consistent ways to build and embed complex web applications, including using languages such as HTML 5 and Java Script. The problem is, large enterprises struggle when asked to forklift a legacy application onto a more modern platform. Therefore, many IT organizations are stuck with the task of keeping applications on life support using ActiveX. Most rely exclusively on Internet Explorer to accomplish this goal. So after hearing the news regarding a potential death to Internet Explorer, many IT admins made a mad dash to their favorite search engine to figure out just how much time they have before Internet Explorer, and all of its legacy support, would remain. Unfortunately, much of the information available online turned out to be incorrect or contradictory. On the following pages, we’ll attempt to fill in as many blanks for you as possible, and clear up as much of the story as we can. We still don’t have all the answers in regards to exactly what Microsoft is planning for Internet Explorer and Project Spartan. But we know enough to get you started on building a game plan for how you’ll continue to support legacy web apps moving forward. If you have any new information on this topic, or questions regarding the impending death of IE, tell us all about it in the comments section below. Microsoft has now spilled the beans and revealed that it will indeed be upgrading both genuine and non-genuine PCs that are eligible to its latest Windows 10. However, it is not clear if the upgrade for pirated copies will be free or not. Will it? Won’t it? Plenty of water has flown under the bridge as the talks surrounding whether Microsoft will allow users who have pirated copies of its OS to upgrade to Windows 10 for free rage on. With Windows 10 expected to hit the shelves by this summer, users who are deploying pirated copies of the older version of the OS, especially Windows XP, are twiddling their thumbs if they would be eligible for free upgrades like legitimate users. Microsoft has now spilled the beans and revealed to Reuters that it will indeed be upgrading both genuine and non-genuine PCs that are eligible to its latest Windows 10. “We are upgrading all qualified PCs, genuine and non-genuine, to Windows 10,” said Terry Myerson, Microsoft’s EVP of OS. In the perfect PR ploy, while Microsoft has gone ahead and “clarified” its intentions for users who have non-authentic Windows copies, cleverly enough, the company has chosen to stay ambiguous. The wordings do not let on whether a fee will be charged or not charged for the non-genuine users. Microsoft let on to The Verge that while the non-authentic versions will get updated to Windows 10, their copies of the OS will however, be considered unofficial. So basically, users who want to make their version official will need to do it via the Windows Store. It is a catch 22 situation for users with a pirated version of the OS as they either take the update route via the Windows Store or purchase a copy of Windows 10 if they have older versions that don’t’ have any way of being upgraded. “We will provide a mechanism for non-genuine Windows 10 PC devices to ‘get genuine’ via the new Windows Store, whether they are upgraded versions of Windows or purchased,” a Microsoft spokesperson says. Microsoft notes that its upgrade practice will be consistent globally. So even if non-genuine PCs will be eligible for a Windows 10 upgrade, their license will not change to genuine, which basically means that Microsoft or a trusted partner will not support them. The company reveals that if a PC has been “considered non-genuine or mislicensed” before the upgrade, it will continue to be considered so even post the upgrade. However, whether the pirated version which stays non-genuine post the free upgrade will expire or not, or become unstable post a certain period of use has not been clarified by Microsoft. It only let on that they will have a system which will aid in addressing the non-genuine status of the devices. This suggests that Microsoft may eventually charge a fee to alter the status of these mislicensed users so that they can install updates meant for genuine Windows 10 users. The Moon may now have a better wireless signal than your local coffee shop. In a test last fall, NASA and MIT researchers showed off a fancy new rig that uses pulses of laser light to shoot data across the vast distances between Earth and our satellite some 238,900 miles away. The results of this first test are set to be presented by the researchers at a conference on June 9th, says Wired UK. Samsung’s Gear VR lets a father be present at the birth of his third son. (Photo : Samsung Australia | YouTube). There are a handful of life events no one should miss, and a child being born is high – maybe even tops – on that list. Thanks to Samsung’s Gear VR headset, one Australian father didn’t have to miss the birth of his third son. Jason Larke was on a work trek during the week his third child was due. The fly-in, fly-out (FIFO) electrical contractor, who works in remote Queensland, is away from home for four weeks at a time, his typical contracting schedule. Then Samsung ran a marketing promotion that provided a potential opportunity for Jason, or Jace to his family, to be at the birth of his son – albeit not physically. The couple caught an ad by Samsung in which the electronics giant was asking for couples bound to be apart at important milestones in their lives and who may benefit from using the Samsung Gear VR technology. The couple applied to the marketing program, explaining Jason would likely not be around for the birth of their third child. Thanks to the marketing program, Jason was able to watch the birth of his son, Steele, as it happened in a delivery room in Perth, while he was located literally on the other side of Australia. The event, now a YouTube sensation, is chronicled in a Samsung ad. The birth on Feb. 20 was an experience Jason says he’ll never forget. While he couldn’t touch either his wife or son, he was able to “walk” the room during the birthing process and after. He could hear everything that was going on. During the event, Samsung used multiple cameras to provide the VR experience and was there when Jason arrived home a week later to hold his son for the first time. The monumental opportunity was not lost on Alison. The event even had a profound impact on Samsung’s marketing chief Arno Lenior. YouTube has officially begun supporting 360-degree video in its mobile and Web platforms as well as apps to accommodate the growing interest in virtual reality. The move is a smart one considering the uprise of platforms like Google Cardboard. 360-degree video will be supported on the Android app as well as on the actual YouTube website. Not only is YouTube going to support 360-degree video itself, but Google is also working with a number of different cameras and camera manufacturers, such as Bublcam, Kodak’s SP360 and more, to allow for easy uploading of 360-degree content to YouTube. Google plans to offer more features to YouTube to better support 360-degree video, such as automatic detecting, a number of filters and better search abilities to find 360-degree content. Automatic detection of 360-degree content will be important in the future as users are currently required to run a script on their video to ensure it has the right metadata, which alerts YouTube that it’s a 360-degree video. On mobile, users are able to simply move their smartphone around to shift view of a video. On desktop, there is a small dial that allows users to move the point of view around. Of course, there are currently very few videos filmed in 360-degree format, but this is more than likely to change in the near future, given the fact that more 360-degree cameras are set to hit the market soon. Virtual reality has been taking off, particularly during the past year. Google itself has made other moves in the field, such as with Google Cardboard, which is essentially a viewer for people to use their smartphone as a virtual reality display. Many expect this type of smartphone use to be the future of virtual reality in contrast to dedicated virtual reality headsets such as the upcoming Oculus Rift. AeroMobil announces its intent to launch its first flying car in 2017. Flying cars may seem the stuff of science fiction, but there’s a plan in place that could see them take flight. So, about those flying cars everyone on social media brings up every time a new piece of tech is introduced. It may actually come to reality now that AeroMobil has set its sights on 2017 for a commercial launch of its first flying car and plans to release fully autonomous flying cars to follow. 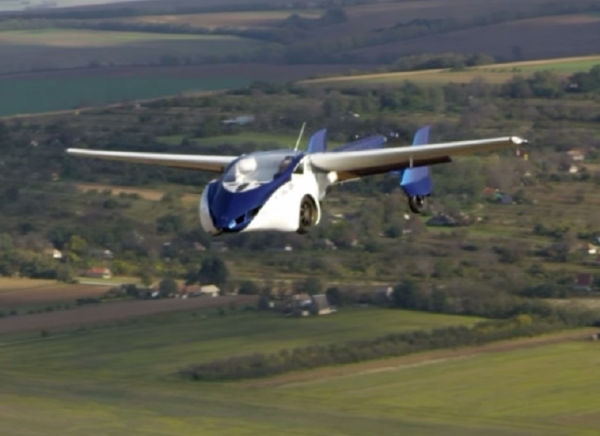 During SXSW (South by Southwest) in Austin, Texas on Sunday, AeroMobil CEO Juraj Vaculik provided more details about his five-year-old startup and its ambitions to move the daily commute into the clouds. Transit has turned into a prison system that incarcerates commuters in traffic, in bad infrastructure and in airports, says the AeroMobile CEO. “We need another revolution, we need a revolution in personal transportation,” Vaculik stated during the music and arts festival. But with all tech that lives a full and meaningful life, the price point eventually comes down. For the price of self-flying cars to drop far enough for everyone to enjoy, the technology will first need to rise above merely serving as a hobby for the super rich. Advances in self-driving cars will help flying cars move closer to real-world adoption and the two modes of transit may find success in the same model. But right now self-driving, autonomous vehicles remain at prices that are too high for the majority of the motoring public. Google’s vision of self-driving cars may predict exactly how the world will move from points A, B, and C. The search engine company expects a decline in individual car ownership and a rise in ridesharing. With driverless cars and self-flying vehicles, the speeds and efficiency at which they travel would drastically decrease the need for parking and economize driving through ridesharing, according to remarks from Google co-founder Sergey Brin at last year’s KV Summit. Autonomous vehicles could become like buses and subways, excepted they’d be much more plentiful, he believes. Solar collectors in space could deliver large amounts of electricity to Earth, but the trouble is sending the power to Earth. That may be possible soon, following a new experiment. 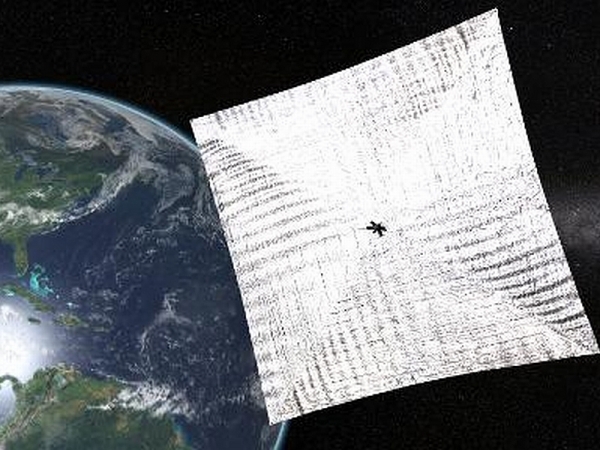 Wireless energy generation in space is one step closer to becoming a feasible delivery source of power following a newexperiment that transmitted electricity through microwaves. The Japan Aerospace Exploration Agency (Jaxa) conducted the research, which sent 1.8 kilowatts of electricity 170 feet through the air, in the form of microwave radiation. The beam was transmitted with a great degree of accuracy, showing the technique may be used on a larger scale. Solar energy might, one day, be collected by massive solar panels in space, and the energy generated from the systems could be sent to Earth in the form of microwaves. Such networks for generating electricity in space would have some advantages over ground-based systems. Solar collectors in space would not be subject to the cycles of day or night, or cloudy conditions. “This was the first time anyone has managed to send a high output of nearly 2 kilowatts of electric power via microwaves to a small target, using a delicate directivity control device,” a Jaxa spokesman said. Engineers at Jaxa have spent years researching new technologies to deliver energy from space-based solar collectors down to our home planet. Solar cells commonly power satellites, space probes, and the International Space Station. However, delivering that power to Earth in an economical manner is still a challenge facing developers. Current plans to develop an orbiting energy generation system involve sending satellites into geostationary orbits more than 22,000 miles above the Earth. The satellites would require large solar panels. Challenges facing engineers include launching these massive solar collectors that high above the Earth, and maintaining them once they are in space. Because of these issues, Jaxa engineers believe that a full network to generate electricity in space will not be available until sometime in the 2040’s. Japan is dependent on imports for near all of its energy needs, feeding a desire to develop their own systems. The nation had utilized nuclear reactors to generate electricity, but those plants shut down in the wake of the 2011 Fukushima disaster. Mitsubishi Heavy Industries recently announced its researchers have successfully transmitted around 10 kilowatts of electricity to a receiver located more than 1,600 feet. The idea of producing energy in space and sending it to Earth for use has been studied by American researchers for more than 50 years. Additional uses for the transmitters could include charging electric cars, or sending electricity to remote regions in the wake of natural and man made disasters. Future development of the current system could produce a device capable of transmitting and receiving energy from ocean platforms, far from the nearest coast. Most of us know that there is no referrer whenever visitors type a website URL directly into a browser or use a bookmark to visit a website. 1. Traffic comes from an email that has been opened in a piece of email software such as Outlook, Outlook Express, Thunderbird, etc. Note: Whenever a visitor uses webmail (online email system) to visit a site, we consider the webmail as being the visit source. 2. The link to your site is in a Flash piece such as Flash banners or full-Flash websites. Note: There is no problem with 301 permanent server-side redirection. 5. Traffic originates from an RSS feed which is read in an RSS application such as Feedreader, RSSOwl, etc. 6. Traffic originates from a link in a document: Word, PDF, Excel, etc. 7. Traffic originates from a secure page (https protocol), whilst your page is not a secure one (http protocol). The above list should not scare you! We provide you with solutions to correctly identify the traffic sources. As a result, only real direct traffic will be considered as direct traffic.